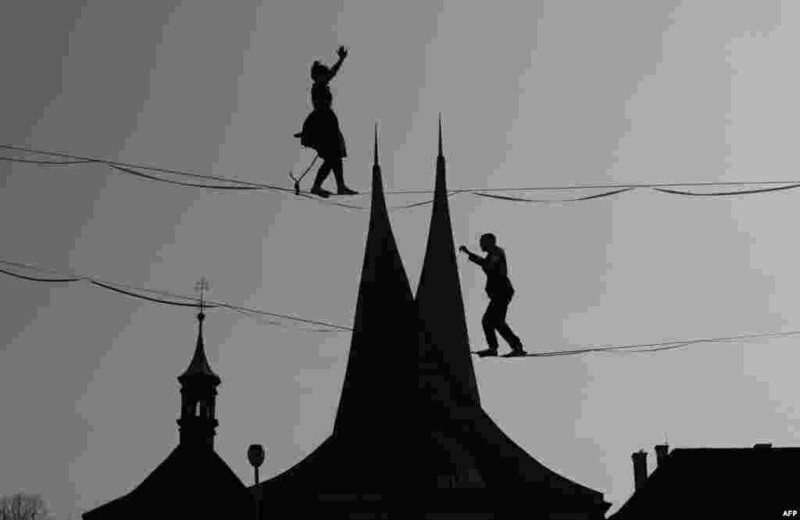 1 Tightrope artists balance on a rope in front of the Emmaus Monastery in Prague, Czech Republic. 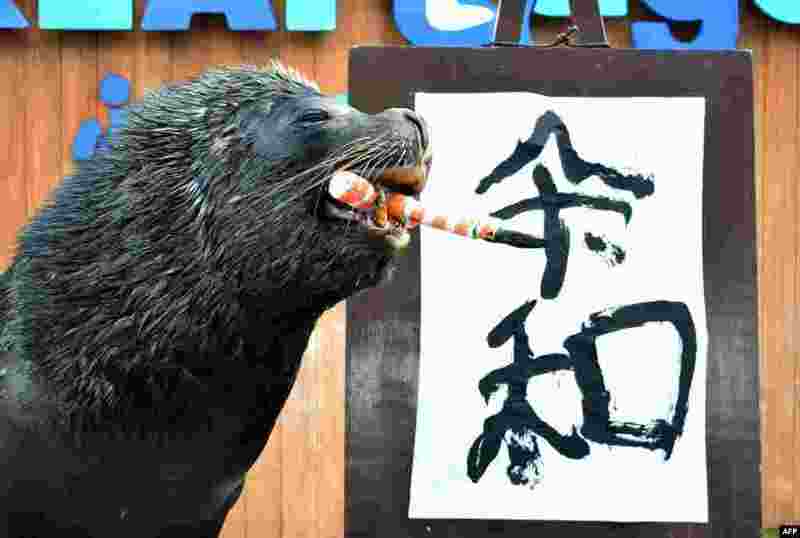 2 Sea lion 'Leo' poses after writing the characters for the new era name "Reiwa" at Hakkeijima Sea Paradise in Yokohama, suburban Tokyo. Japan revealed the name of the era that will define the new emperor's reign when he ascends the Chrysanthemum Throne next month following a historic abdication. 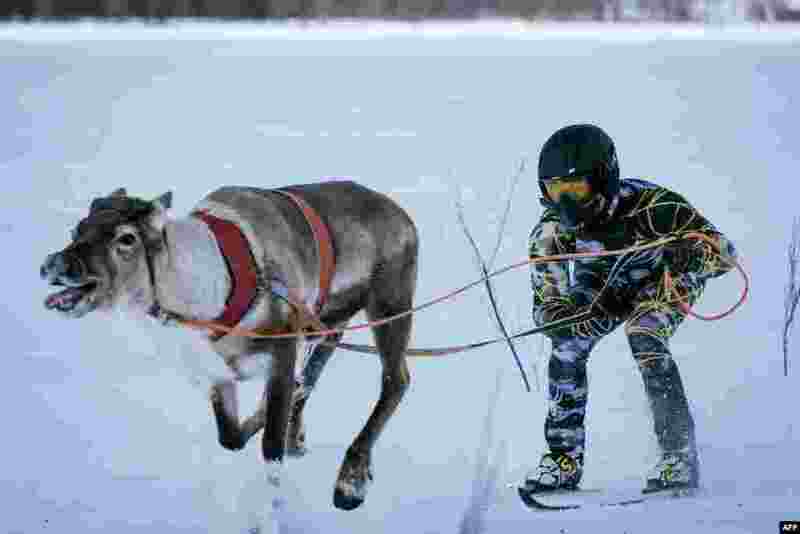 3 Reindeers pull their jockeys as they compete on the 1 km ice track of the final in the BRP Poro cup reindeer race on a lake in Inari, northern Finland, March 31, 2019. 4 Ostavio, 5, from Guatemala, rests on the shoulders of his brother Eduardo as they walk through a field after illegally crossing the Rio Grande river into the U.S. from Mexico in Penitas, Texas, March 31, 2019.